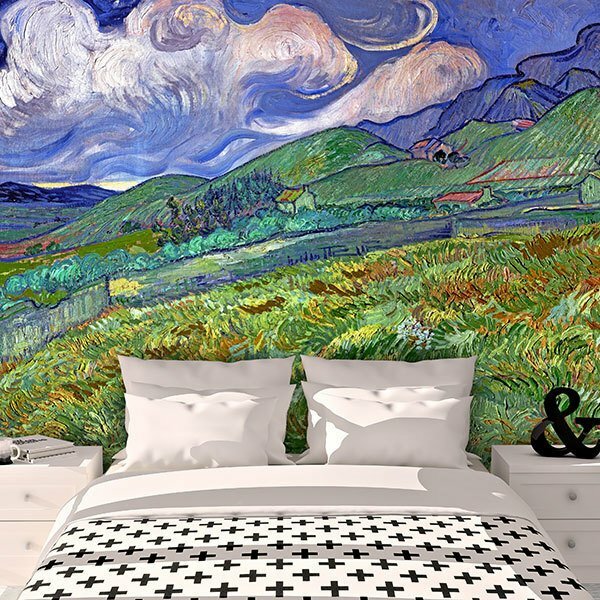 Wall mural Landscape of Saint-Rémy, Van Gogh. 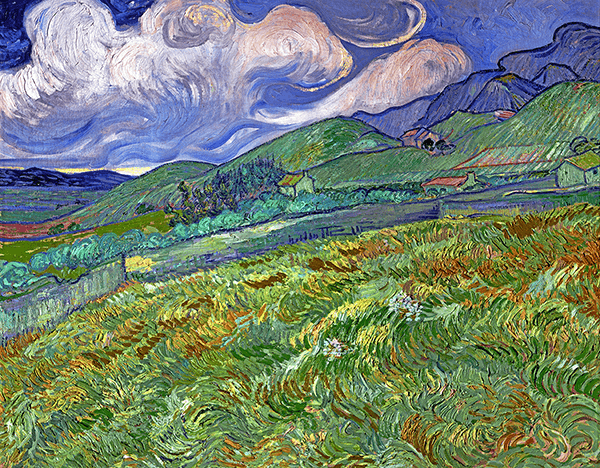 Work based on the mountainous landscape behind the Saint Paul Hospital, painted by Vincent Van Gogh in 1889. 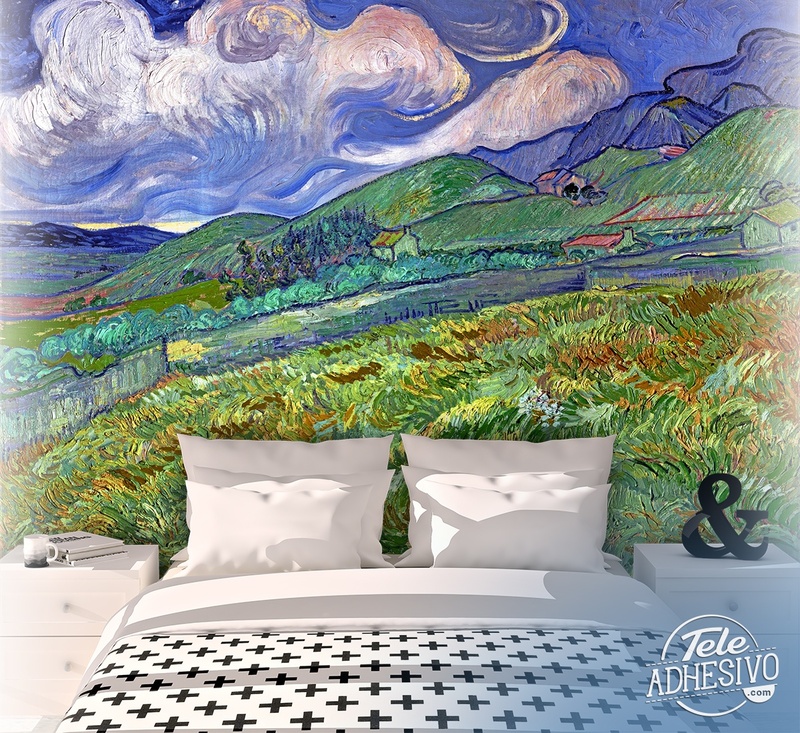 After moving to the south of France, he would mark his own style by giving shape to the characteristic undulating brushstrokes.